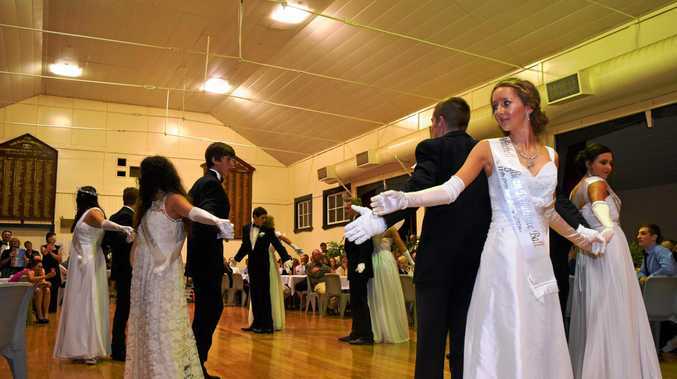 A GROUP of young ladies and their accompanying partners will make their debut in to the world at the Mitchell Debutante Ball. The ball is on this Saturday and organiser Margaret Maudsley said she was impressed with the maturity of the young women. "The Anglican church parish council are the organisers but the main people who have been doing the organising are myself, Wendy Cicero and her family and Deborah Moore and all the helpers,” she said. Ms Maudsley has been a part of the event since 1989 and said she loved that the tradition was still going strong. "I like to be able to show them a little bit of traditional things as how to dress up as young ladies, how to carry themselves, how to greet someone and a bit of etiquette as it is often lost these days and I think it is a shame,” she said. This year's theme for the ball is 'Climb every mountain until you find your dream'.